There is just something special about Disneyland. It was Walt’s dream, and he touched every single part of the park right up until his death in 1966. If you have not been to Disneyland, you really can’t call yourself a Disney fan. Walt Disney World is great and all, but Walt never actually set foot in any of the theme parks there. But Disneyland, Walt actually LIVED there. 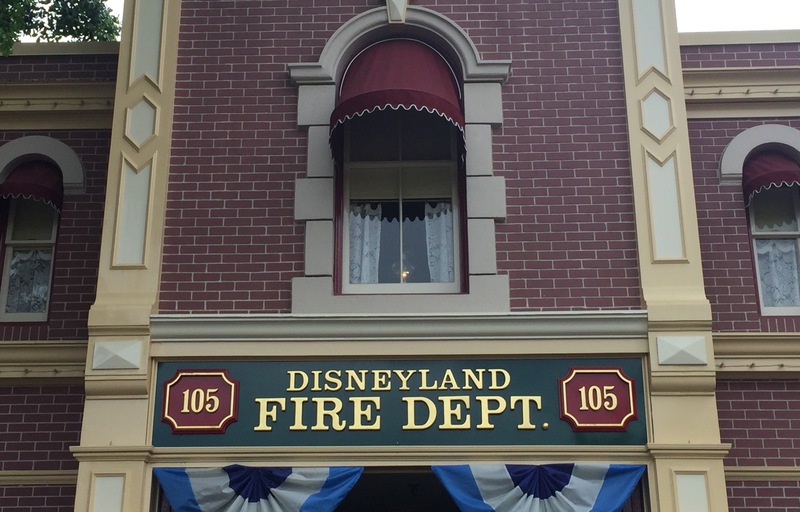 During the construction of Disneyland, Walt decided that he needed a place to work and stay in the park, so the upstairs of the fire station on main street was built to fit his needs. It was completed by opening day, and it was from the window above the fire station that Walt watched as guest streamed into the park. Walt and his family spent quite a bit of time in the park during the early years, since there was constantly so much work going on. Walt’s apartment was very private, you really could not tell if he was there or not, and Walt wanted it that way. Even the large patio overlooking town square was not easily seen from below, though apparently you could see down into the park quite well. While Walt wanted to keep his privacy, early on did decided that when he was in the park, he would light a lamp that was placed in the upstairs window of the fire station. Imagine during the early days seeing that lamp lit up as you entered the park! That meant there was going to be a great chance you may see Walt walking around the park that day, handing out “autographs”. What a treat that must have been! On December 15, 1966, the day Walt Disney passed away, the light was extinguished to signal his death. The next morning, Walt’s lamp was lit again to signify his presence in the park (some say it turned on by itself), and not remains lit on a daily basis, only to be turned off on special occasions. On all the days I have been in Disneyland, I have yet to be there when the light was out. A few years after the opening of Disneyland, and as the park was expanding to add New Orleans Square and the brand new Pirates of the Caribbean attraction, Walt decided to build a bigger apartment above the entrance to the Pirates of the Caribbean. Walt died before the completion of this apartment, so it was never occupied by anyone in the Disney family. For years, this apartment was accessible to the public as an art gallery, and recently has been remodeled into “The Dream Suite”, a luxury apartment only used on special occasions for VIP visitors (or some lucky guests if Disney is giving away stays there). Walt’s little fire station apartment is still there, stuck in time if you will, and is accessible from time to time via special tours (Adventures by Disney often visits there if you happen to be on one of their Southern California Adventures). 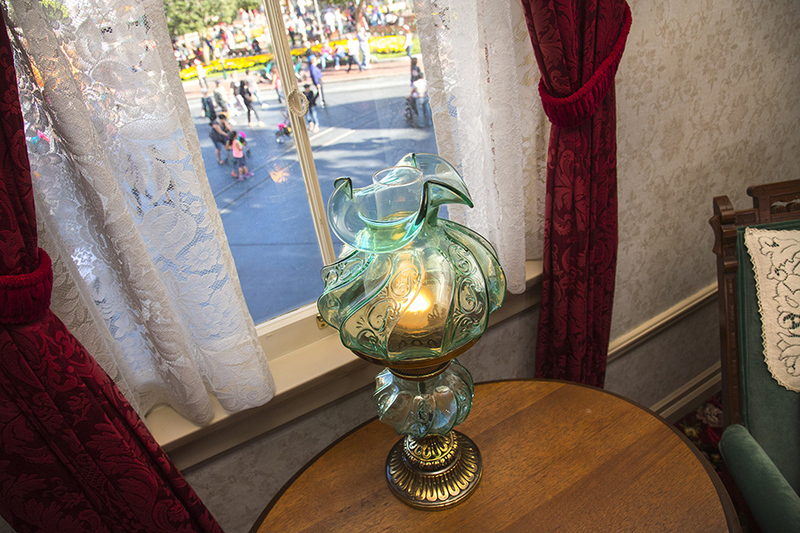 The fact that Walt’s lamp is still lit on a daily basis just reaffirms that this is Walt’s park, and he is still there on a daily basis.